Waggo founder Regine Raab has her work/life balance down. Photographed by Stylish & Hip Kids Photography. When a newborn enters your life, you definitely need to make adjustments to prepare for your new family member. 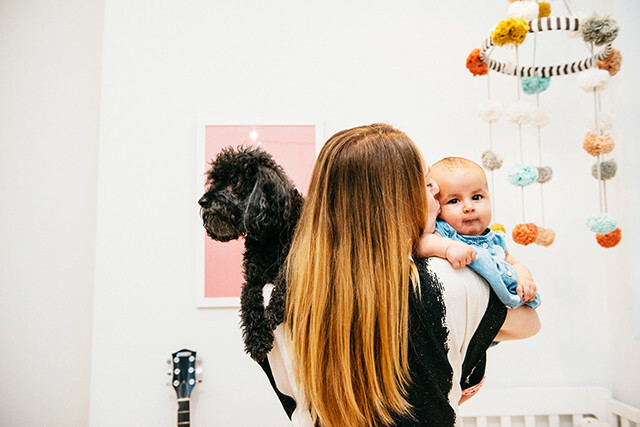 Since Regine Raab, founder and designer of the modern pet brand Waggo, wanted to keep her business thriving after giving birth, she decided to take her child to work every day. Well, to her home office that is. 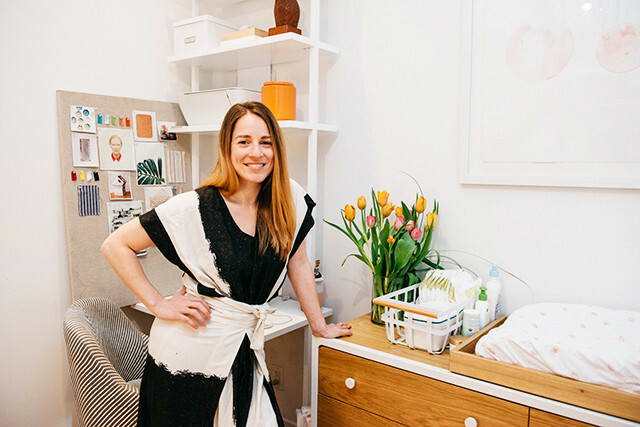 Raab transformed a room in her Williamsburg home to include all her work essentials, as well as a crib, a changing table, and plenty of cute accessories for her new baby Lila. 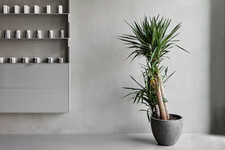 Although it is a small space, Raab did a great job of creating an environment for her to get down to business and also take care of her kiddo. The fun design incorporates Raab's signature modern, yet playful vibe with plenty of color, pattern, and artful additions. Her schnoodle Benny seems to love it too. This pretty pom pom mobile (and this picture) are seriously sweet. The space is totally office and nursery goals. Clearly, this design forward mama has already got a knack at the work/life balance.